Intelligent Team Communications Designed for Delivery –Motorola, Inc. The use of big data has seeped into many industries, changing the way we work. 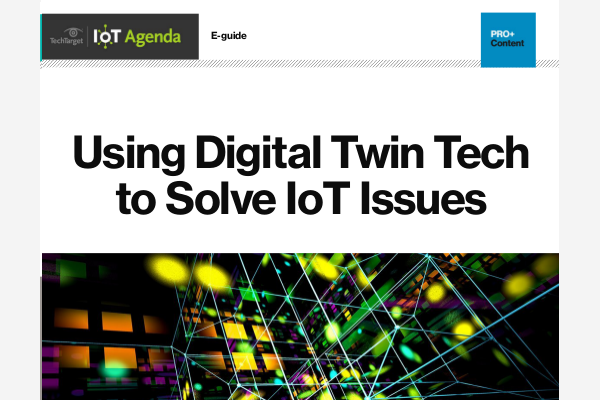 Big data enables IoT platforms to function, connecting devices to each other, revolutionizing machines. While the fleet management industry is not typically synonymous with the word innovation, big data has changed that. With the introduction of big data, fleet management is rapidly evolving. Platforms automate fleet management technologies, connected devices monitor vehicle and driver performance, and managers have remarkable insight into how the fleet is performing in real time. Not only are the cost savings high, but the safety and risk mitigation capabilities are making safer roads all around the world. The most prominent changes are in the ability to monitor driver safety and driver behavior, the better performing and more reliable vehicles, and the cost savings for companies that rid themselves of legacy systems and invest in big data platforms. Here’s a look at how big data is upgrading fleet management. Onboard telematics sensors installed in fleet vehicles can collect data on driver behavior. From braking too harshly to speeding, patterns are sent back to managers who can then coach drivers on how to operate the vehicle better. Sensors will soon be able to give real-time feedback to drivers to correct behavior. Additionally, these systems connect to cell phones and block drivers from texting and driving. Fleet managers can view all the aggregated data to find patterns and correct any overarching problems in the fleet. Furthermore, managers can see data in real time and alert a driver if, for example, the vehicle’s tire pressure is too low. The driver can then stop and fix the problem, rather than risking a breakdown, which endangers many lives. Fleet managers having access to fleet vehicle data means an overall better-performing fleet thanks to predictive maintenance. In addition to real-time alerts about problematic engines, low batteries and inspection reminders, managers can use data to predict when a vehicle will need maintenance. Instead of waiting for a problem to happen and fixing it, managers can use big data sets and connected devices to calculate when a part of a vehicle will break down. Automated maintenance models can take vehicles part by part and assess when that part might need to be replaced or tuned up, instead of wearing down the part beyond repair. In addition to lengthening the lifetime value of vehicles, this also improves driver safety by reducing breakdowns on the road. Predictive analytics makes fleets more efficient by limiting, even eliminating, downtime, which results in significant cost savings. Predictive analytics and safety features mean fewer accidents. Since accidents account for roughly 14% of fleet expenses, this in itself saves resources for companies in fleet management. Predictive maintenance also allows fleet managers to understand the lifetime value of parts and vehicles, which saves resources in that area as well. 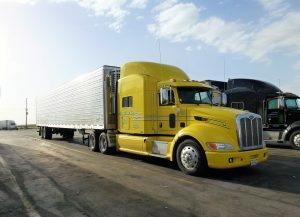 Both of those aspects also mean less downtime, which can be a substantial financial strain on fleets. The cost of late deliveries, replacing vehicles, paying drivers overtime, and so forth can add up; but by reducing downtime, companies can avoid all of that. If fleets have fewer accidents and less downtime, this shows insurance agents responsibility and may end up resulting in lower premiums. For companies that have to pay high premiums on each fleet vehicle, the savings here skyrocket. GPS data too can mean savings. Imagine combining GPS data with gas prices along fleet routes. If a driver knows when to stop and fuel at a low-cost provider, the savings would be in the tens of dollars. Now imagine giving that information to thousands of drivers — the savings would be in the thousands of dollars for companies that automate that process. Fleet management companies that invest in big data will find great rewards. From a more connected fleet to high financial savings, the advantages are plentiful. Big data platforms are a somewhat significant investment, but they can make for a safer road and more efficient fleet. Seventy-eight percent of maintenance managers are not happy with their current maintenance approach, most likely because they do not have the tools and resources necessary. The technology is now available to decrease accidents, drastically reduce downtime and make a more efficient fleet. Managers can make real-time decisions about their fleet using big data, so companies should consider investing in this technology.